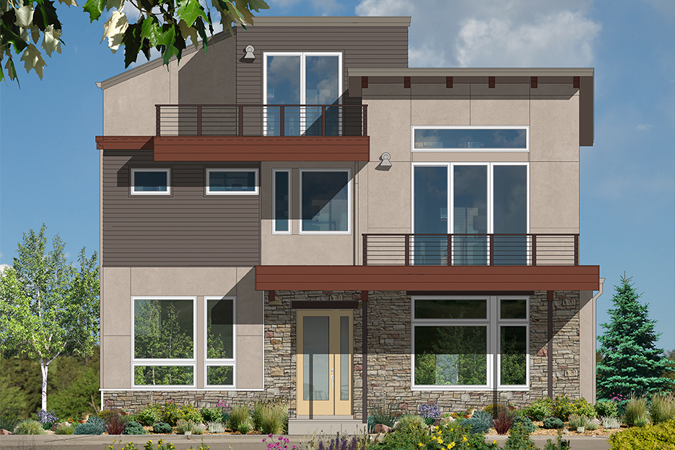 Ground has just broken on Kalmia38, North Boulder's newest neighborhood. Essentially an extension of Northfield Commons, the homes are a mix of single-family houses and attached dwellings. 57 homes will be built on 38 lots with prices starting in the $700s for the town homes/duplexes and in the $900s for the single family dwellings. The development includes four local builders, Markel Homes, Coast to Coast, Hendricks, and Accent Properties. 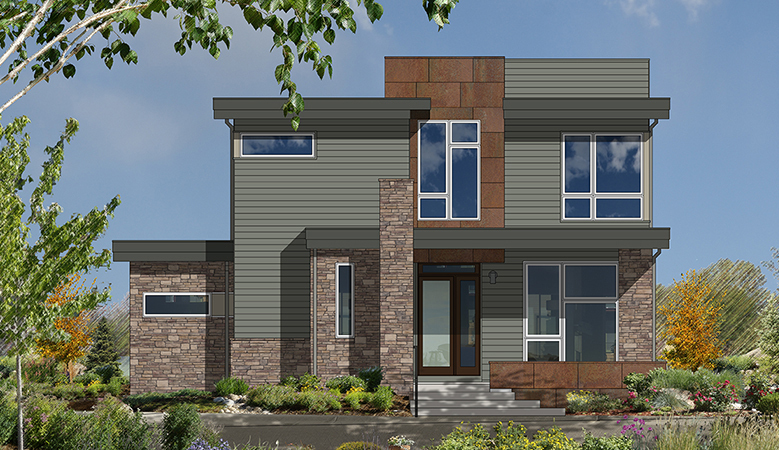 The distinctively modern offerings are from Markel Homes. Lately, Markel's architecture has really leaned towards the modern end of the building spectrum. Their recent homes in Louisville and Prospect have been forward in design while still fitting in nicely with surrounding houses. Their Kalmia38 homes look to follow this trend. Contact us for more information (site plan, floor plans, etc.) or to check out these great designs.